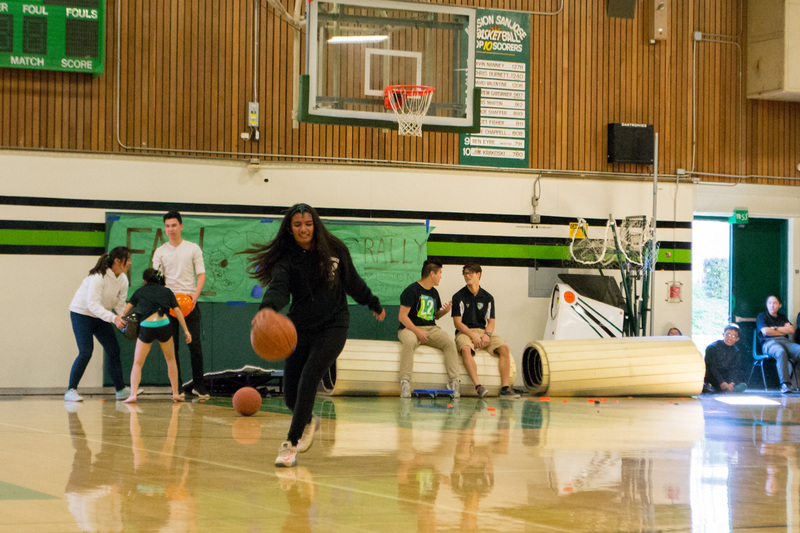 Girls’ Tennis Captain Junior Arabhi Thananjeyan dribbles up the court for a second shot during an activity organized at the November 29 Fall Sports Assembly. 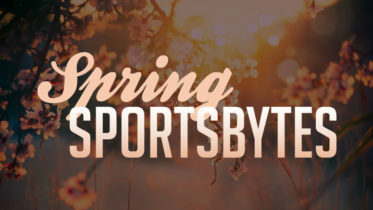 The assembly featured performances by MSJ’s Cheer and Gymnastics teams and photo recaps of each team’s season. During an advisory session held December 1 in the minigym, Jeni Swerdlow, the founder and instructor of Drummm introduces beginner techniques to interested students and staff. 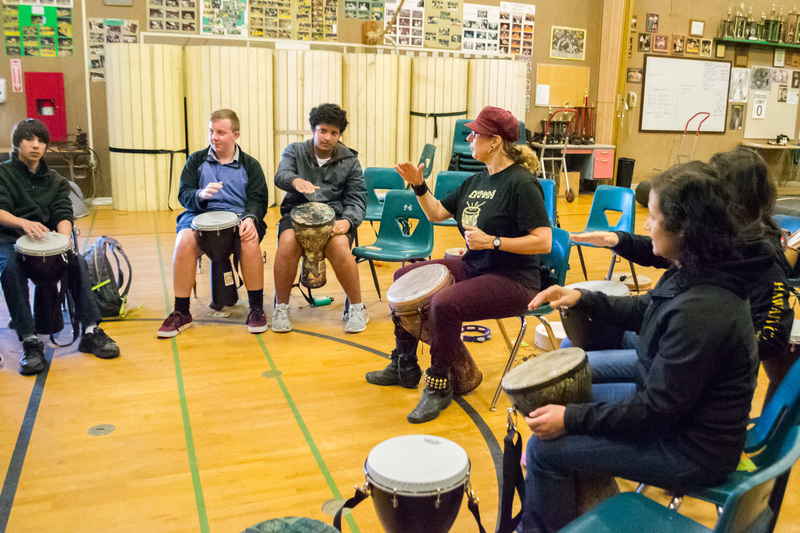 The workshop provided students an engaging opportunity to play colorful, traditional drums, as well as experience unique rhythms first-hand. 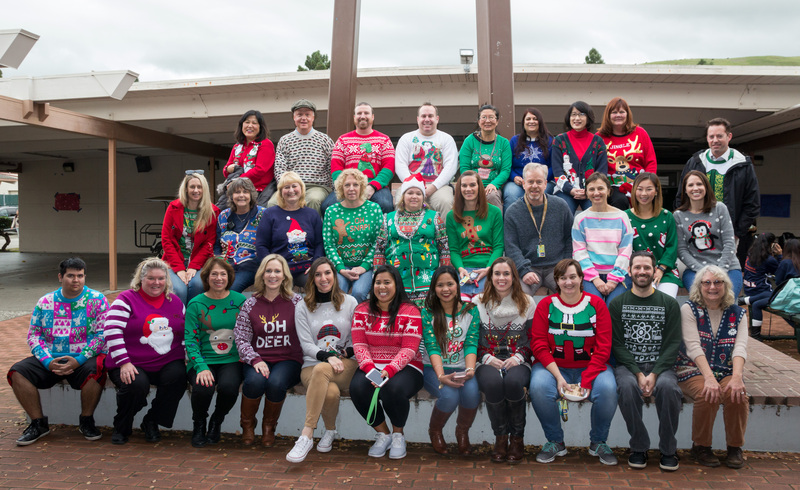 Staff and faculty gather for an ugly sweater picture at the Bell Tower Quad during Winter Week, which lasted from December 12 to 16. On each day of the week, students and staff demonstrated school spirit by wearing winter and holiday-themed clothing. 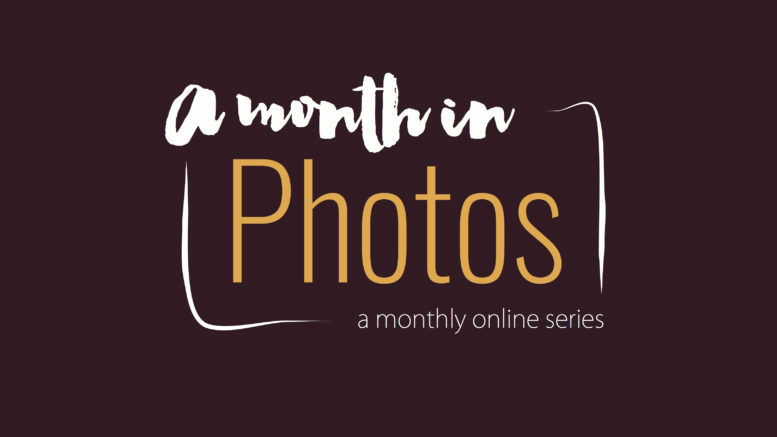 Be the first to comment on "A Month in Photos: December"